If you are throwing any sort of sparkly party, like maybe counting down to midnight at your own NYE party, these fun DIY over sized sequins make a great DIY party decoration. They are a lot easier to clean up then their normal size counterparts. 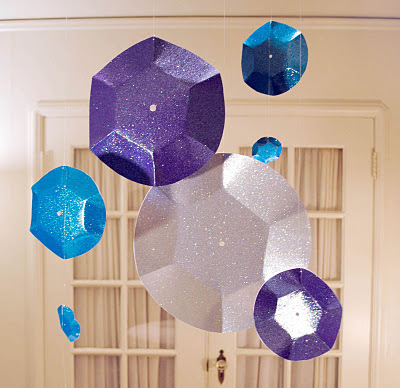 Head over to Zakka Life to find out how to make these shiny oversized sequin part decorations from glittery cardstock!